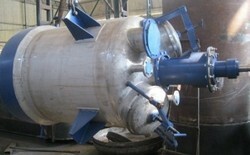 Pioneers in the industry, we offer Industrial Vessel such as Led Vessels and Pressure Vessel from India. Fabricated from best and low temperature steel. The construction procedure of these anks is duly checked by internationally sanctioned inspection agencies. One of the four vessels exported to Bahrain. Backed by a team of experienced and well-trained professionals, we are involved in manufacturing and supplying Ambient Air Vaporizers at industry leading prices. Made available in a varied range of specifications, these efficient and sturdily constructed vaporizers are applauded for their reliable performance. Offered range is tested for its flawlessness, before handing over to the patrons. Backed by a team of experienced and well-trained professionals, we are involved in manufacturing and supplying Cryogenic Vaporizers at industry leading prices. Made available in a varied range of specifications, these efficient and sturdily constructed vaporizers are applauded for their reliable performance. Offered range is tested for its flawlessness, before handing over to the patrons. Our vaporizers working is the simplest and maintenance free. Liquid LPG comes as an inlet which passes through the SS coil , which is dipped in hot water . The liquid gets indirect heating and gets converted in to vapor. The heaters , pressure and temperature are been controlled by flame proof control panel. At KEW, we understand the need to customize vaporizers to meet specific application requirements. 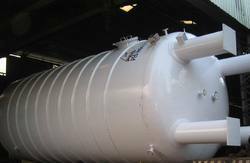 Designed and manufactured per ASME Pressure Vessel Code, Section VIII, Division 1. Designed on hot water bath. Factory Primed, Painted, and Tested. KRISON has always been pioneer in introducing newer and better products in the industry. 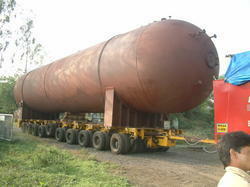 A finest example of this is the Pressure Vessel Tanks which has been supplied to nuclear power corporation of India ltd. The vessel is used for transport of nuclear waste from one place to another. The testing of the vessel is performed by putting the source inside and detecting the radiation leak using leak detectors. We provide our clients a range of Industrial Reactors that are manufactured using superior quality raw material. These reactors are used in varied industries for running and conducting reactions at increased temperatures and high pressure. 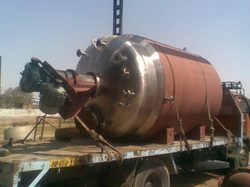 Sturdy in construction and leak proof, these reactors are also designed and install as per the customized requirements of the clients. We are engaged in designing and manufacturing a range of Isobutylene Reactors that are extensively used in various industries such as nuclear power plants, atomic research centers etc. These reactors are sturdily constructed using quality material and known for their application specific design, durability and optimum performance. Further, our range is also well tested on quality parameters to ensure maximum satisfaction to clients. 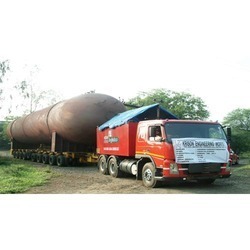 Being one of the prominent names of the business, we are involved in manufacturing and supplying Slurry ReactorVessel that is made from optimum quality raw materials that are procured from our reliable vendors. 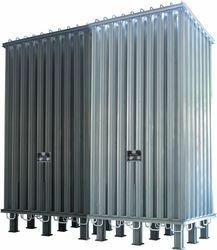 Owing to the excellent temperature control, large heat capacity and tough construction, these reactors are highly demanded. Slurry reactors are handed over in safe packaging, within the committed time frame.